The on-going dispute in Sabah involving two neighboring countries Philippines and Malaysia brought another cyber war. In Lahad Datu, Sabah followers of a certain Sultan from Sulu, Philippines “Jamalul D. Kiram III” clashes with the Malaysian authorities resulting bloodshed. As the news spilled over the internet, keyboard warriors of both countries launched cyber attacks defending their country of provenance. 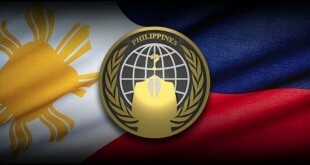 Saturday – Anonymous Malaysia forewarn Filipinos and declared cyberwar against Philippines. 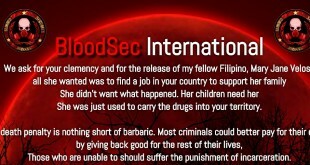 Website of Moalboal, Cebu appears to be first of PH site defaced. To All Armed Forces Philippines, Anonymous Planning Now For Your Website Hacking, With This We Doing Likewise To Warns To You To Stop From Attacking Sabah, Now Targets We www.sss.gov.ph Is To Be Such Website Hack By Anonymous Malaysia, to the Philippines, Stop Attacking Or Malaysia Sabah, We Do Not Want To fight, If You Do not Stop Attacking Sabah Website You Like That In The Hack By Will Say We, Us Malaysia Not Poor, All Hacker From USA Neither State or Country will Help Anonymous Malaysia, Malaysia People Want Peace, We Do Not Want War Like the past, Please Stop Attacking ‘Lahad Datu, Sabah Islamic Religious Ber Many Victims Will, We Will Make An Anonymous To Your Website Philippines, All Hacker Will Help Us! – Anonymous Malaysia deactivates their page. – The same day, Anonymous Malaysia ask PH hackers to withdraw. – Filipino hackers rooted not so famous websites, www.karamcharikalyansamiti.orgwww.rubyescortmalaysia.com, leaked rmpmail.rmp.gov.my/uwc/auth admin account. Sunday – more Philippine Websites got hacked including Globe web sub domain, shop.globe.com.ph at around 9 am. – Malays responded, hacking more websites. Series of web hacking follows. Monday– Peace talk looks working. Cyber war between Philippines and Malaysia seems over. In summary, there are a total of 157 websites from Philippines hacked, and 170 from the Malaysians. Website ranges from corporate, personal, corporate, organizational and governmental. If you find something in the news that is in anyway offending, comment below. Note: We do not assure 100% accuracy of the article.